Hello! I'm sharing another Marci image with you today. 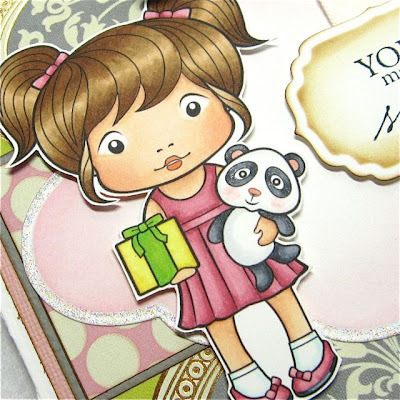 This is Birthday Marci and she is part of the new Marci line over at La-La Land Crafts. She will be available in rubber on her official release date of September 15th. Until then, you can still pick up 2 of the new images as digis. Sweet Dreams Marci and Pirate Luka will be available as digis for a limited time, so grab them now and start having fun! Gorgeous!! Beautiful!! So sweet!!! 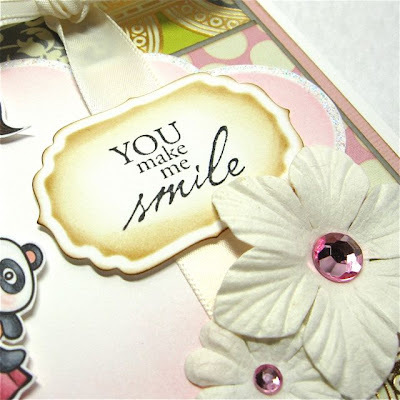 Your card makes me smile too!!! 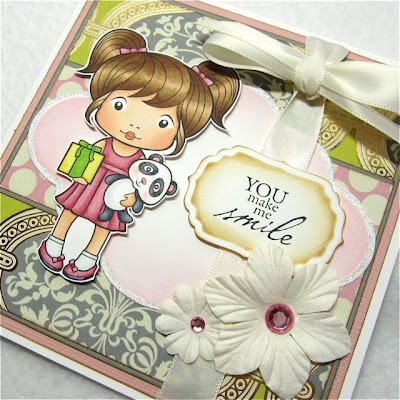 I love this cute "Marci", and your card is adorable! Great composition, and the coloring is always so superior! Love the new Marcis! Irina created such a cutie! This card makes me smile! These new images are adorable, and your coloring is perfection!! Ahhhh she is just darling, Cheryl and this card totally makes me smile! STUNNING in every way...love the juxtaposition of the sophisticated paper and the cuteness of Marci...like I said STUNNING!!! Fantastic card with amazing coloring. Your artwork makes me smile. Marci is oh.so.sweet! Your card is so soft and pretty too!